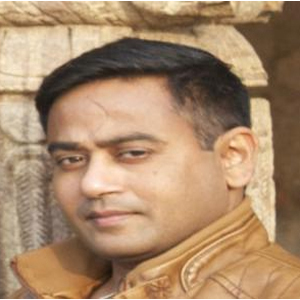 Dr. Sanjeev Routray is an Urban Studies Foundation Postdoctoral Fellow, School of Public Policy and Urban Affairs, Northeastern University, Boston, USA and a visiting Postdoctoral Fellow, Centre de Sciences Humaines (CSH), Delhi. Prior to this, he taught at the University of British Columbia and Simon Fraser University as a sessional lecturer. He is currently revising his PhD dissertation titled, “Between Eviction and Existence: Urban Restructuring and the Politics of Poverty in Delhi” into a book manuscript. His PhD project was awarded the Inaugural Dissertation Prize and nominated for the CAGS/UMI dissertation prize, which recognizes doctoral dissertations that make unusually significant and original contributions to their academic field, from the Department of Sociology at the University of British Columbia. He is also carrying out new ethnographic research as part of his postdoctoral project titled, “The Plumbers of Delhi: Migration, Plebeian Sociality, and Citizenship in an Occupational Community.” His areas of research include: Urban Transformations, Migrants and their Lives, Experience of Poverty, Postcolonial Politics, and Trans(regionalism)nationalism and Cosmopolitanism. He has received competitive fellowships from Urban Studies Foundation, UK, The Foundation for Urban and Regional Studies, UK, Zeit-Stiftung, Germany, and International Development Research Centre, Canada for his research. Routray, Sanjeev (2014). “The Postcolonial City and its Displaced Poor: Rethinking ‘Political Society’ in Delhi,” International Journal of Urban and Regional Research. 38 (6): 2292-2308. Routray, Sanjeev (2016). Review of Liza Weinstein’s The Durable Slum: Dharavi and the Right to Stay Put in Globalizing Mumbai. Minneapolis and London: University of Minnesota Press, 2014. ix, 216 pp. Pacific Affairs. 89(2): 468-469. Routray, Sanjeev (2017). Review of Ipsita Chatterjee’s Displacement, Revolution, and the New Urban Condition: Theories and Case Studies. 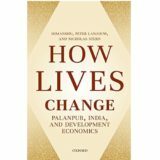 New Delhi: Sage Publications India, 2014. xvi, 158 pp. Pacific Affairs. 90(1).